These cams are very aggressive, designed for performance oriented vehicles where they will see little street use. Stock components are generally incompatible Changes are needed in rear end gear ratios, headers and the torque converter. Designed to take advantage of the latest improvements in valve train components and the newest developments in camshaft design. Their aggressive lobe design produces better throttle response and top end horsepower than other cams with the same duration @ .050”, while delivering increased engine vacuum. HYDRAULIC: Very strong torque, excellent mileage, smooth idle. HYDRAULIC: Strong torque thru low end and mid-range, good idle. HYDRAULIC: Excellent response, good mid-range, stock converter, 3.23-4.10 gear. HYDRAULIC: Street/strip use. 3500 stall or 4 speed, 4.10 gear and 10.5:1 compression. Very rough idle. Solid-Performance cam for Street Machines, Lower axle ratio and 2500 stall with headers with a rough idle. HYDRAULIC: Performance use. Best with mild converter, headers, 9:1 compression and lower gears. Rough idle. 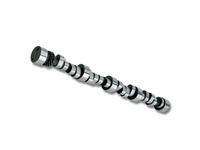 HYDRAULIC: Excellent street machine camshaft. Headers and mild converter with low gears. Rough idle. 9:1 comp. HYDRAULIC: Excellent torque and throttle response, good 4x4 low end power. 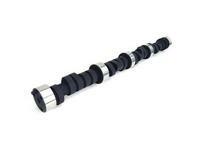 HYDRAULIC: Good torque for 4x4, excellent mid-range power, great for RV or towing. HYDRAULIC: Good torque for 4x4 with aftermarket intake and headers. Excellent mid-range, works with lower gears. HYDRAULIC: Good torque and throttle response, needs intake and headers, lower gears and 2500 stall. HYDRAULIC: Great street/strip cam, 10:1 compression, headers, intake, gears and 3000 stall. Very rough idle. HYDRAULIC: Ultimate cam for pro street. 3500+ stall with 10.5:1 compression and low gear. Radical idle. HYDRAULIC: Good for daily driven performance cars. Largest cam with stock converter.Lower gears. Mild rough idle. Great power in mid-range and high RPM. Performance cam for street use.